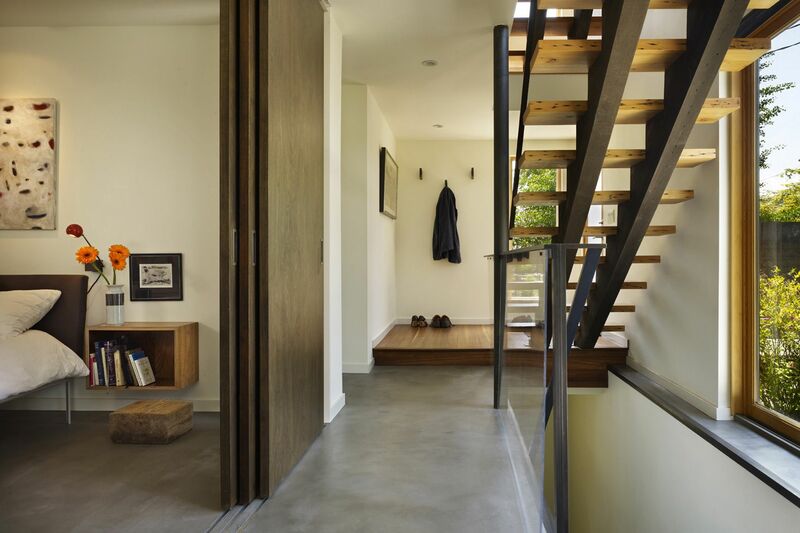 Located on a dense urban shoreline site, this residence is built on an existing daylight basement, and celebrates its setting while providing privacy to its family. All photography by Benjamin Benschneider. Bedrooms are located on the ground floor, with large sliding doors to provide privacy at night and openness during the day. 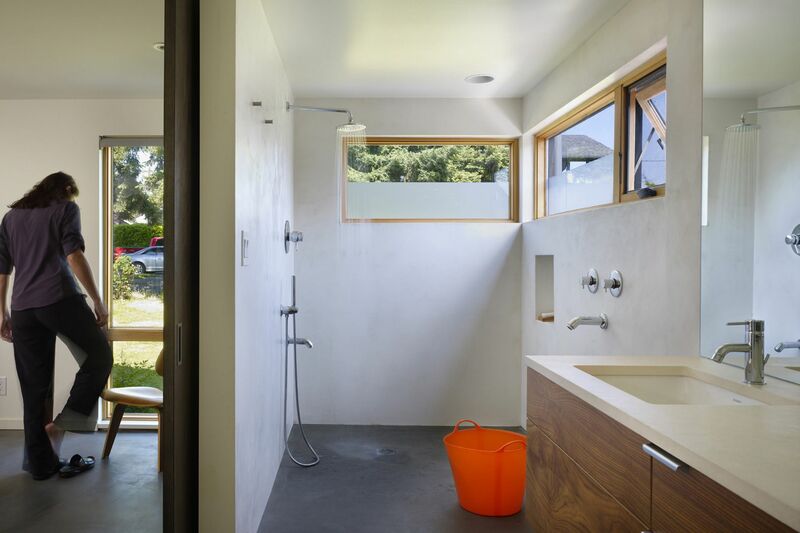 Bathrooms are finished in white Milestone plaster with framed views to the water. 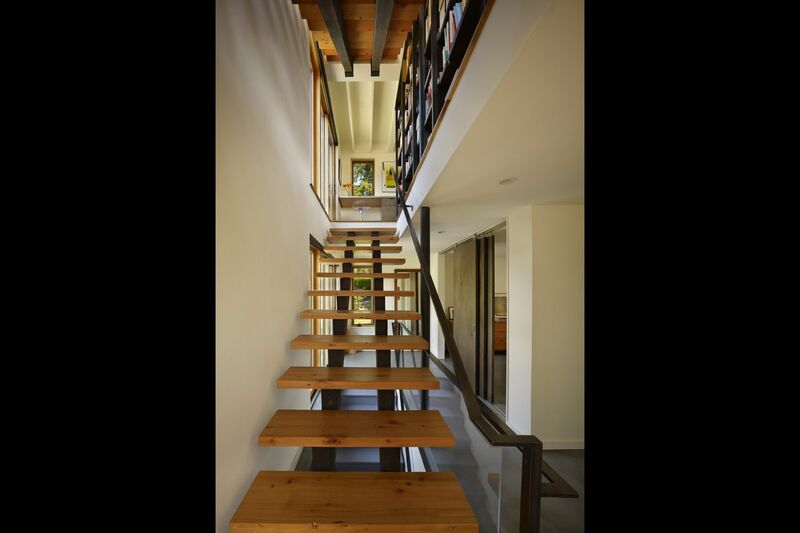 The stair is located on the south facing street frontage, providing filtered views into and out of the residence. A galley kitchen is open to the Dining Room and Living Room. Translucent acrylic panels clad the pantry, screening objects behind. 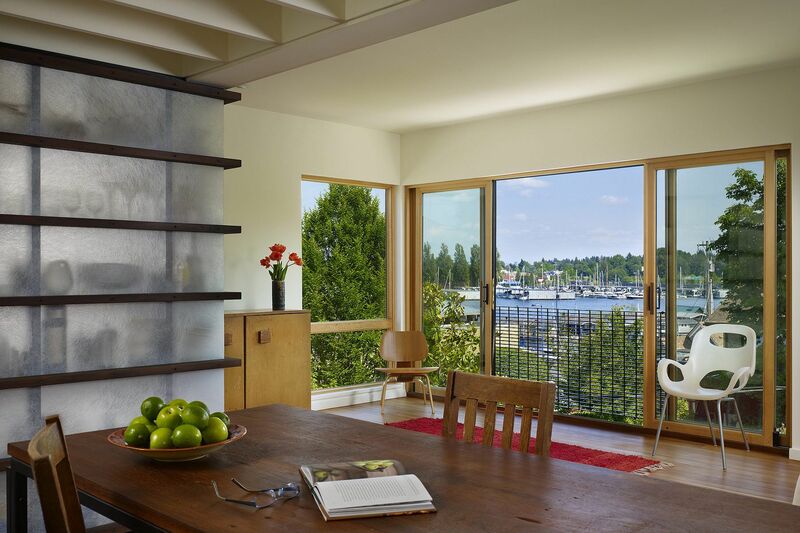 Large sliding doors in the Living Room allow the space to open up to the exterior and water views. 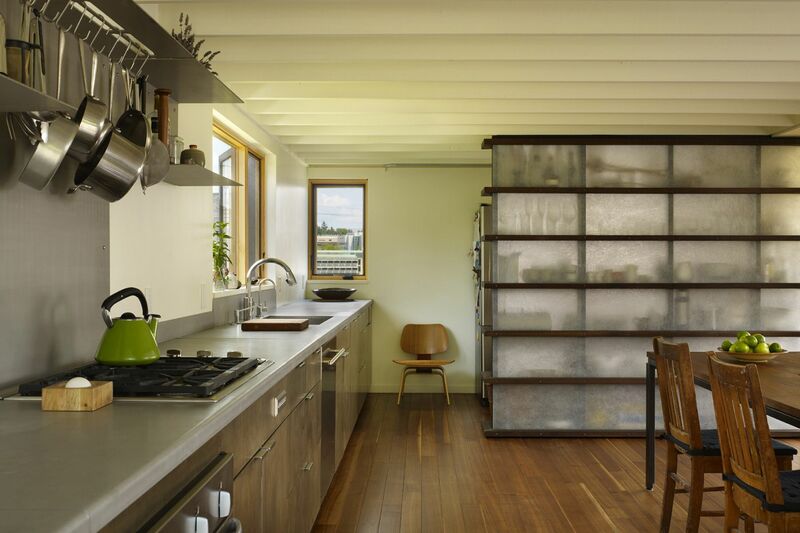 Open shelving allows for filtered light, views, and movement through books and collections. The constraints of site and footprint result in an efficient vertical house rising four floors and a roof deck reaching the maximum allowable height. A variety of indoor and outdoor spaces are provided with composed views of the waterfront. The small roof deck takes advantage of solar exposure and views to the bridge and mountains beyond. View from adjacent property of east elevation. 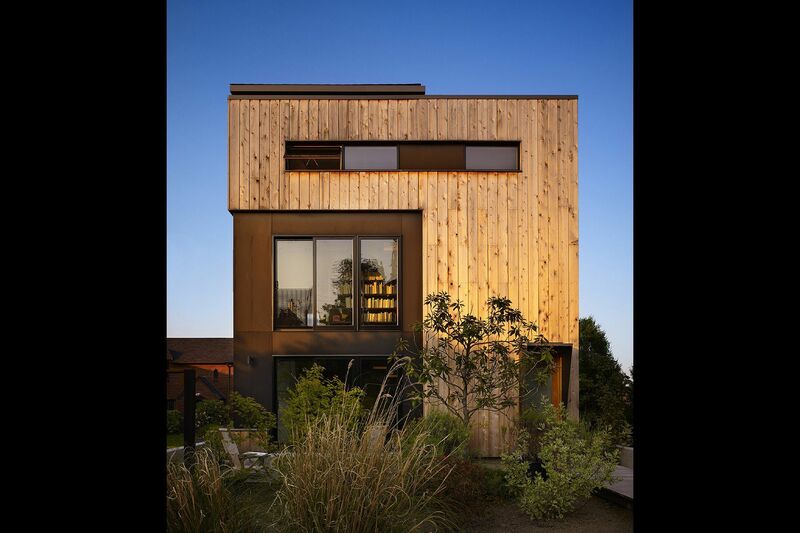 Economical materials such as raw cedar, steel, and integral color cement panel siding, are intentionally honest and hardworking. The Lobster Boat is a metaphor for a house that is economical, purposeful, and durable.